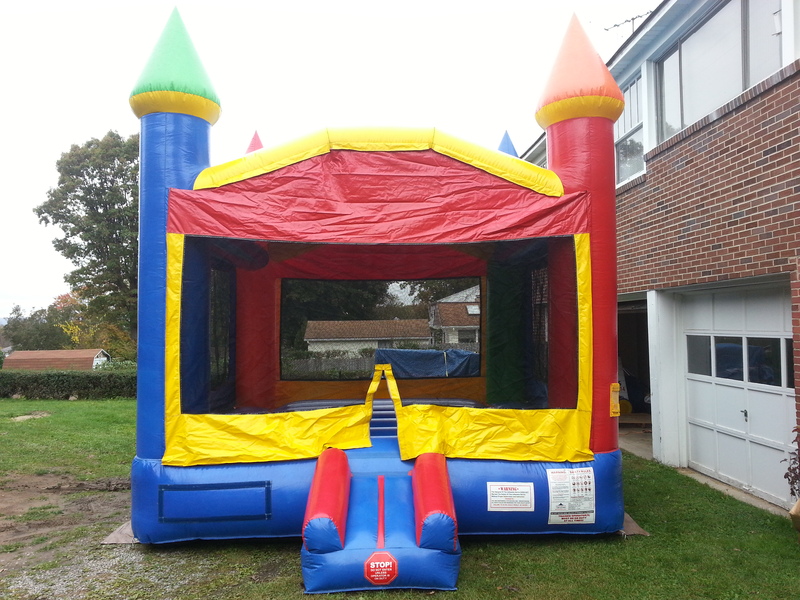 BOUNCE HOUSES :: RAINBOW CASTLE BOUNCE - The Outhouse Party Store Online | Candy, Chocolate, Rentals, Holidays, and More! RENT THIS BOUNCE HOUSE ALL DAY FOR ONLY $150.00!! DELIVERY, SET-UP AND PICK-UP ARE INCLUDED. TONS OF FUN! NEEDS ONE DEDICATED POWER OUTLET. ACTUAL SIZE 14X14X15! CALL FOR MORE DETAILS.